THIS year’s Swaledale ram sales ended in spectacular style at Hawes with a top price of £92,000, giving an average for the final day of £2,831 for 301 rams. The average over the two days was up £386 on the year at £2,226 for 611 rams forward. Sale topper was Kisdon Lovely from Christine Clarkson’s Kisdon flock, Muker, Swaledale, which had not been in the show. 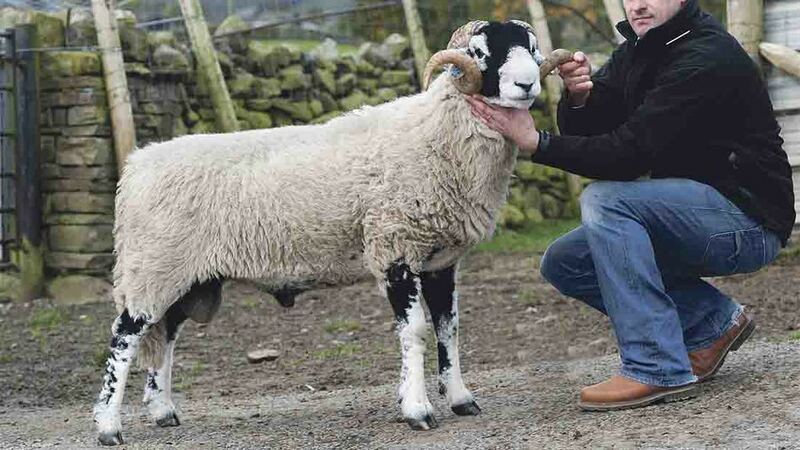 By a home-bred ram and out of a ewe by the £34,000 Bull and Cave, it sold to Paul and Sue Hallam, Derbyshire. 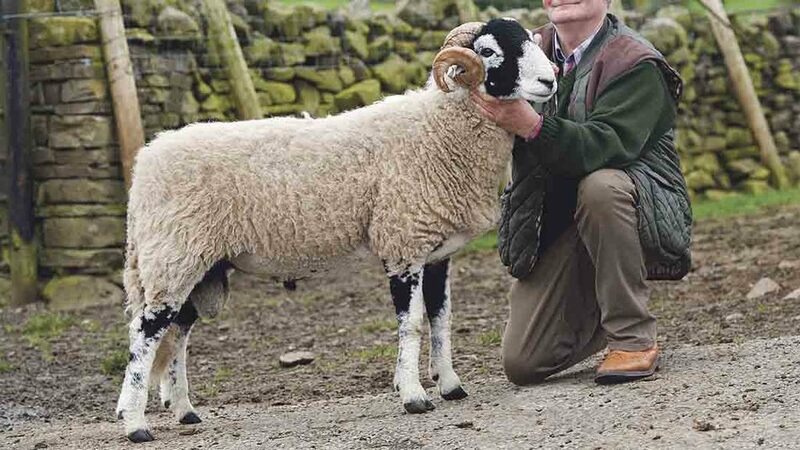 Soon afterwards, the second day’s champion, Stonesdale Governor by Stonesdale Dynamite, from Mark and Chris Rukin, Keld, sold for £86,000 to a four-way partnership of Alan Coates, Aygill, Robert Wear, Patterdale, Craig Ridley, Haltcliffe, and Jack Lawson, Hundith. 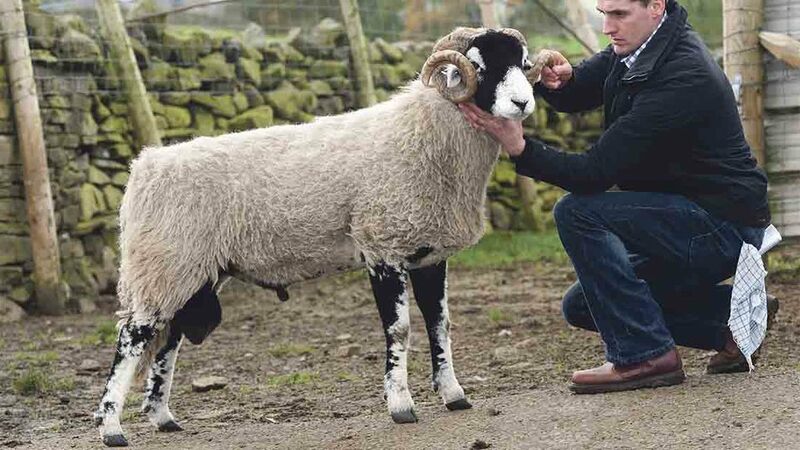 Stonesdale’s second ram into the ring, Stonesdale General, a son of a £12,000 Hallam and out of a ewe by a Bill Cowperthwaite made £46,000 to Stephen and Brian Porter, Summerlodge and Oxnop. John Dixon, Downholme, topped the first day’s trade at £43,000 for Stainton Vector by a Helbeck ram which sold to Mark Nelson, Clapham and Richard Harker, Grayrigg. Mark and Paul Ewbank, Pateley Bridge, took £30,000 for a shearling by a Grayrigg Hall ram selling to John Richardson, Dufton, Mr Nelson and Bobby Blades, Buttertubs. Other highlights included a £22,000 bid for Dolphinseat Noble Eric 11 from W.M. Hutchinson, Redgate, selling to Stonesdale and Brian Thornborrow, Frith Holme. Mr Richardson had a sale £21,000 to Messrs Hutchinson, Redgate, Neil Richardson, Fernyford and Ian Bell, Askrigg. Barney Richardson, Fernyford, won the small breeders section and the overall champion on the first day of the sale with a son of a home-bred ram going back to the £46,000 Eric Coates ram which sold to John Bradley and Jack Wade for £20,000. Champion, Stonesdale Governer, sold for £86,000. Stonesdale General sold for £46,000. Stainton Vector sold for £43,000.